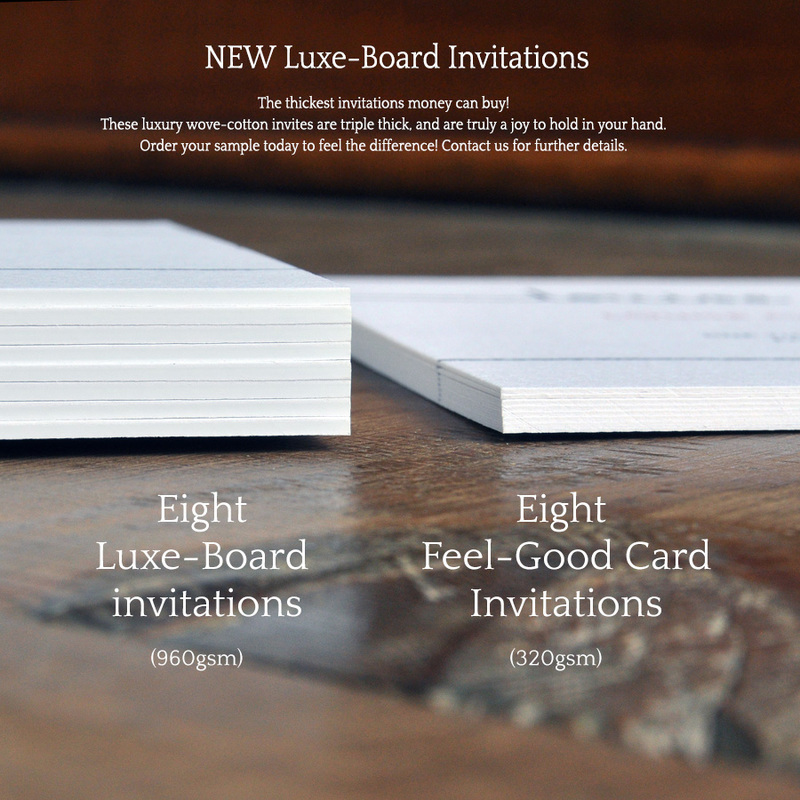 NEW for 2014. This design uses on-trend colours for 2014, combined with white calligraphy text printed on our thick 320gsm 'feel good' textured card. 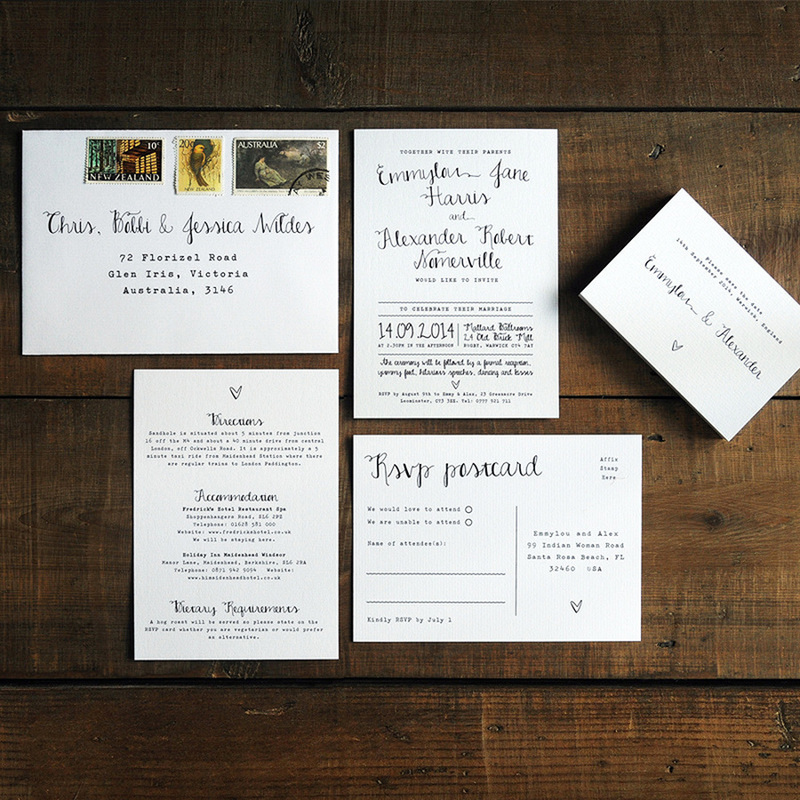 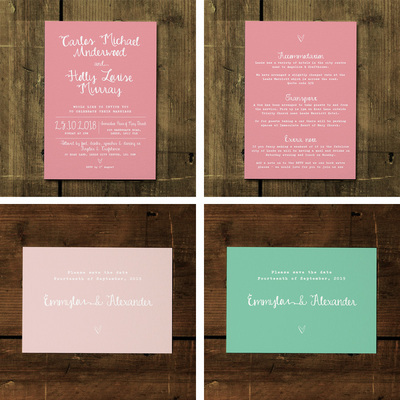 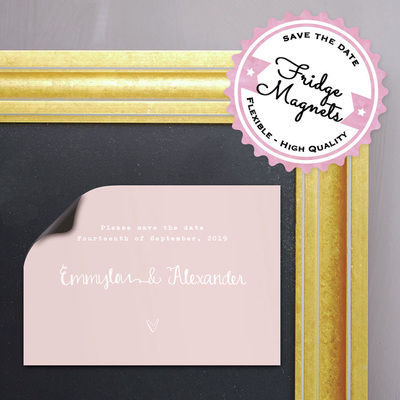 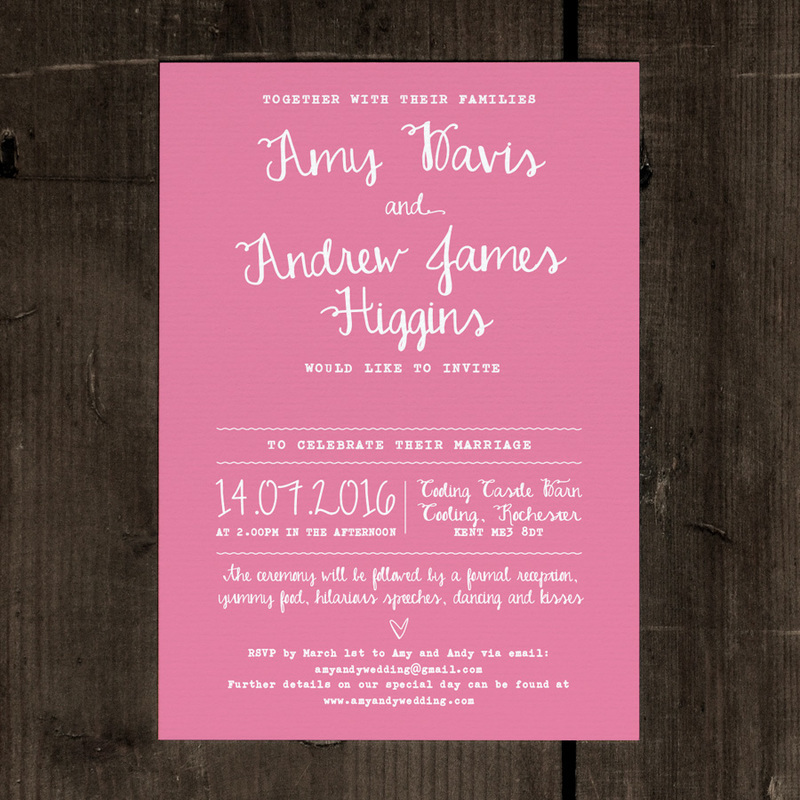 Choose from matching Save the Dates, RSVP Cards, Place Name Tags, Orders of Service, Thank You Cards and much more. We have selected some on-trend colours which are predicted to be big for 2014, but you're welcome to use any colour you like. 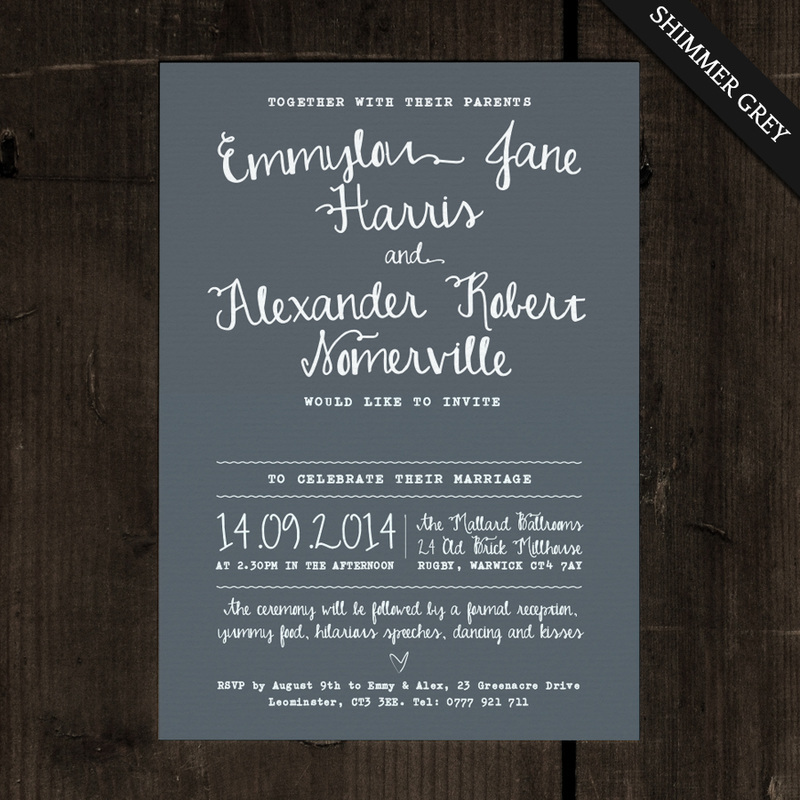 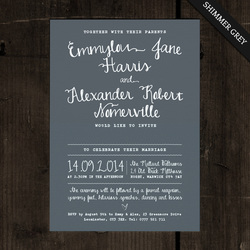 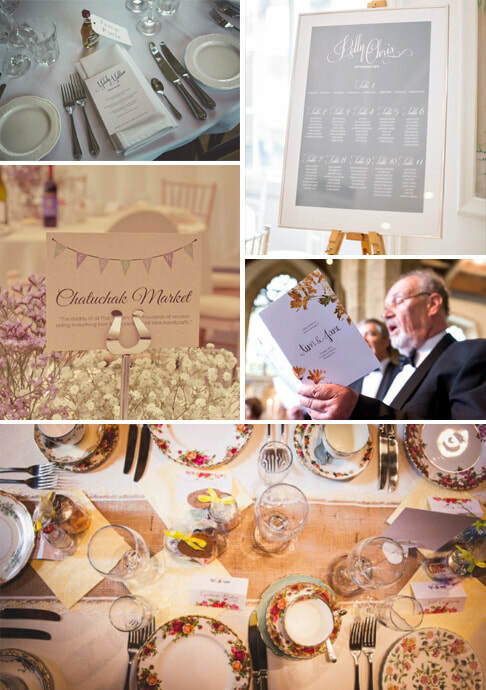 The back of this invite is white as standard but can be coloured at no extra charge - just ask.